Low Volume: For dealers with less than 10 cars in inventory, we offer the Low Volume package. For $50 monthly, it's a cost effective way to have a web presence for your dealership, get maximum exposure for your inventory, and get leads. 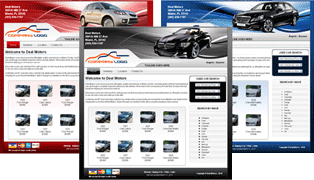 This package includes unlimited inventory publishing to all the sites that we publish to for up to 10 cars. High Volume: For dealers with more than 10 cars in inventory, we offer the High Volume package. For $100 monthly, you can publish an unlimited number of vehicles to all the sites that we publish to. 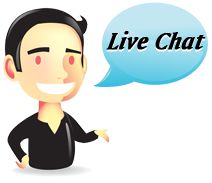 If you prefer to talk about our services and pricing over the phone, please call us at (888) 675-7477. We are able to assist in both English & Español. The monthly fee gives full access to the website management tools (decode VINs, write detailed car descriptions, upload pictures, name pictures, order pictures, customize page content, choose page deisgn, choose website color theme, website hosting, and more). The service requires a setup fee of $249. You also have full and unlimited access to our exclusive automated inventory publishing service. This service sends your inventory to sites like craigslist, vast, geebo, facebook, trovit, mitula, Auto Broad, eBay, yakaz, reachoo, and if you have dealer accounts with AutoTrader and cars.com, your cars can go there too. You'll have massive internet exposure for your vehicles, you'll get more leads and you'll sell more cars.